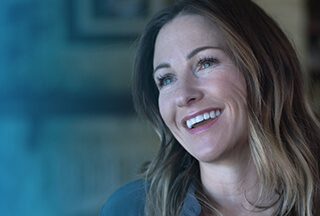 Senior Analyst, Product Marketing at Dell Inc.
Dell provides the technology that transforms the way we all work and live. But we are more than a technology company — we are a people company. We inspire, challenge and respect every one of our over 100,000 employees. We also provide them with unparalleled growth and development opportunities. We can’t wait for you to discover this for yourself as a Senior Analyst - Product Marketing on our team in Penang. As a global business with game-changing products, there’s always scope for Dell to grow sales and expand market share. So a highly skilled Product Marketing team is essential. Our team has real vision. They develop and implement strategic approaches to solutions and technology marketing that put our products and services at the forefront of our customers’ minds. Always ready to adjust strategies in response to market change and competition, the team works closely with sales, product partners and vendors. Crucially, their remit goes beyond the customer value proposition to making sure product development is informed by customer insights. Launch operations for Client Peripheral Categories. Drive attach rate to client from operations point of view. Manage operations for sustaining Client Peripheral products - both Dell branded and 3PP. If you’re excited by the prospect of marketing ground-breaking innovations to a global audience, this is your opportunity to develop with Dell.